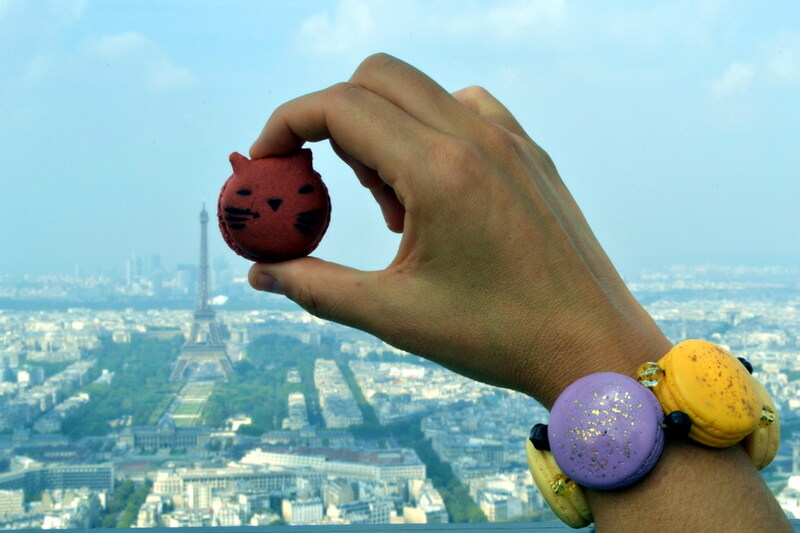 Badou Badou cat macaron and macaron bracelet by N2 Les Nereides Paris. September has been a whirlwind month for me: a trip home to Berlin, rocked London Fashion Week with Rebel, started a new job in Marketing and last but not least, Mr Romantique whisked me away to Paris to celebrate our first wedding anniversary! Paris romanced us with stunning weather, mouth-watering food in Paris’ most popular tea room and breathtaking views from Montparnasse tower. 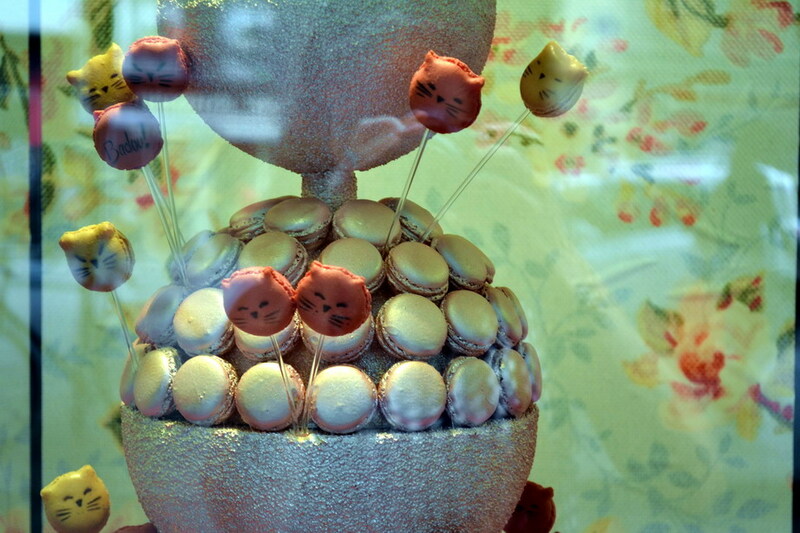 My absolute highlight of the trip was a box of cat macarons from Parisian patisserie Lenôtre. 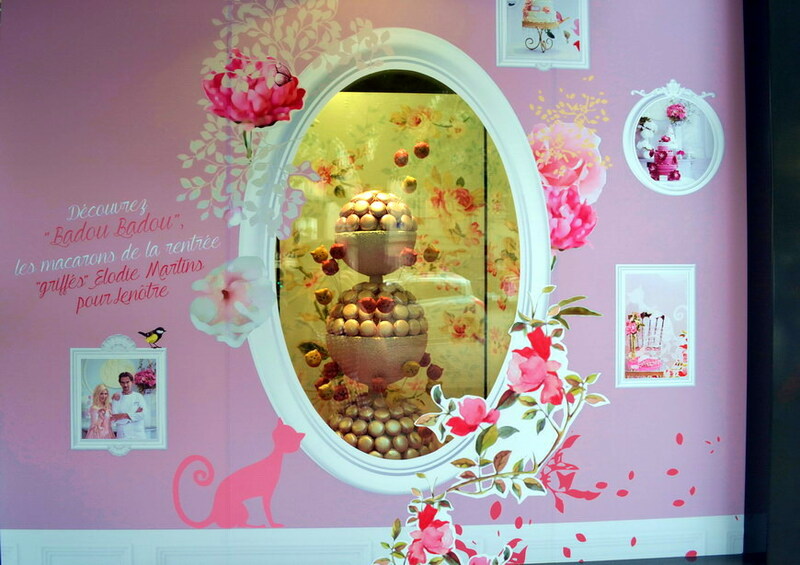 Unlike Laduree’s Hello Kitty Macaron collection, which simply contains macarons in Helly Kitty themed packaging, Lenôtre offers macarons shaped like Kitty’s head. 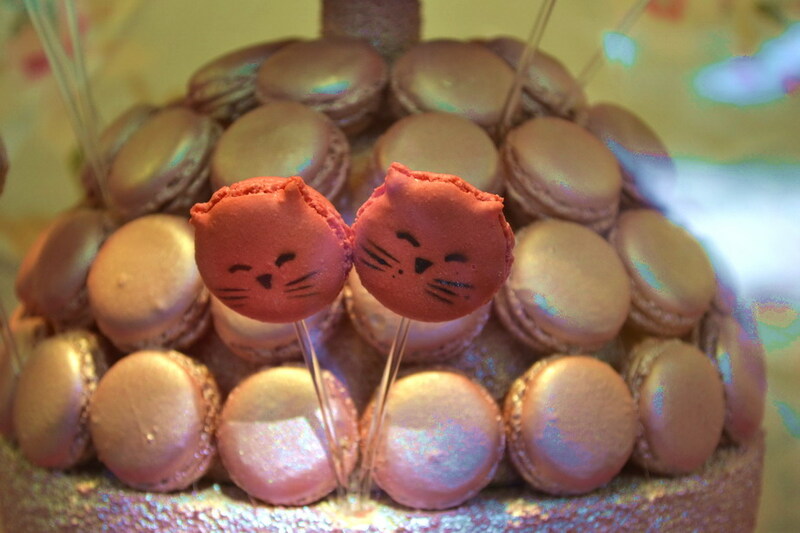 The adorable cat macarons, named Badou Badou, are offered in two delicious flavours: Cotton Candy and Strawberry Haribo. 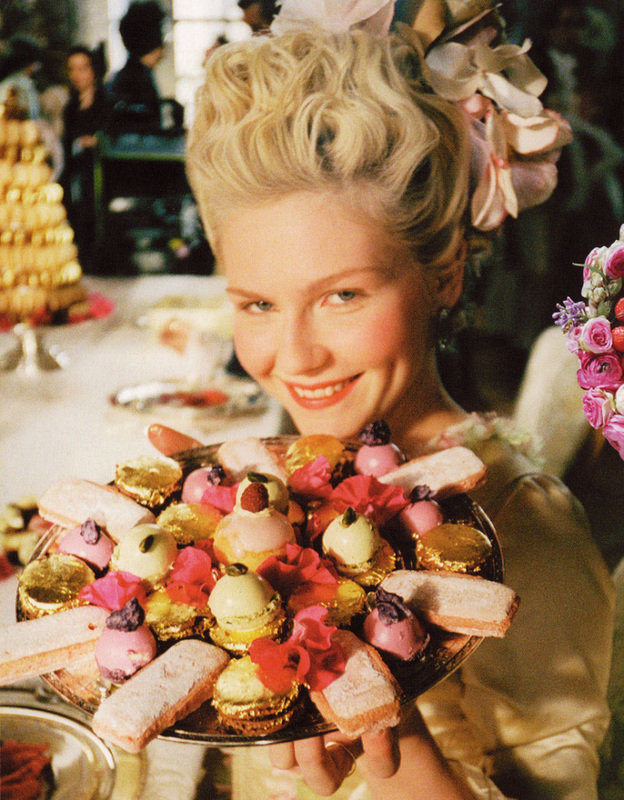 Elodie Martins, writer and amateur pastry chef, created the feline macarons inspired by the girly universe of the movie “Marie Antoinette”, directed by Sofia Coppola. 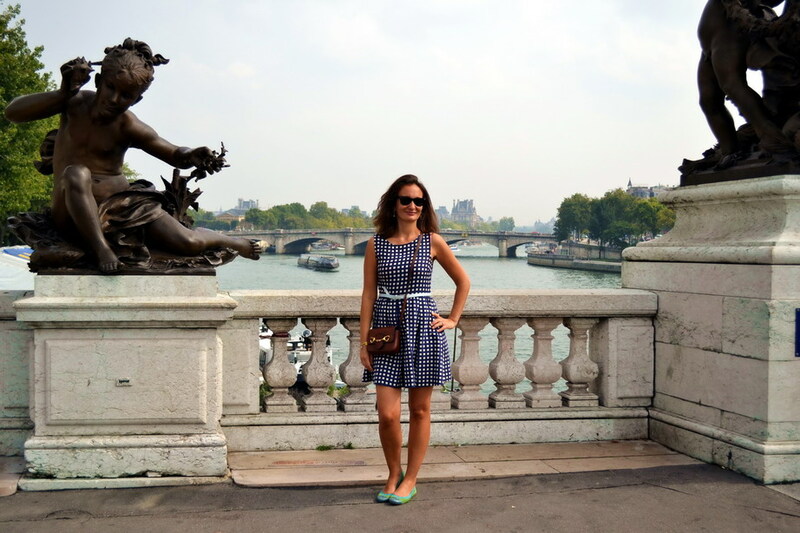 Street style Paris at the gorgeous pont Alexandre III. 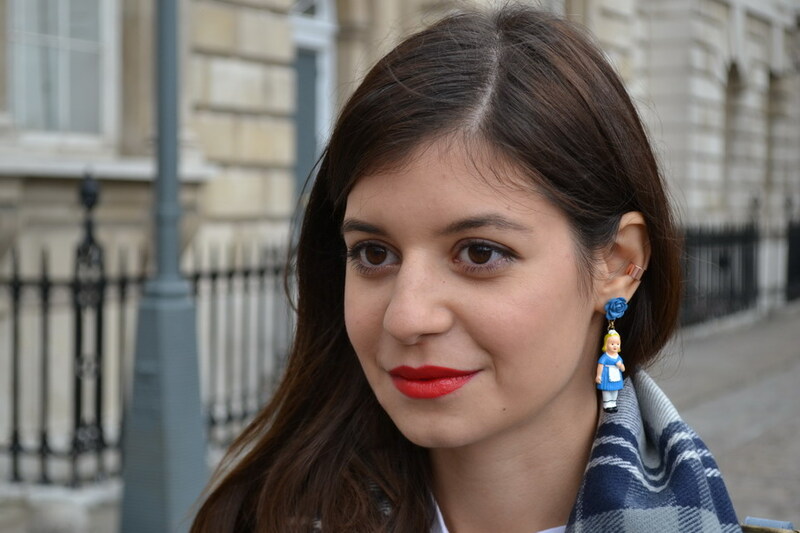 The girly world of Sofia Coppola’s movie “Marie Antoinette” inspired Elodie Marting to create her Badou Badou cat earrings. 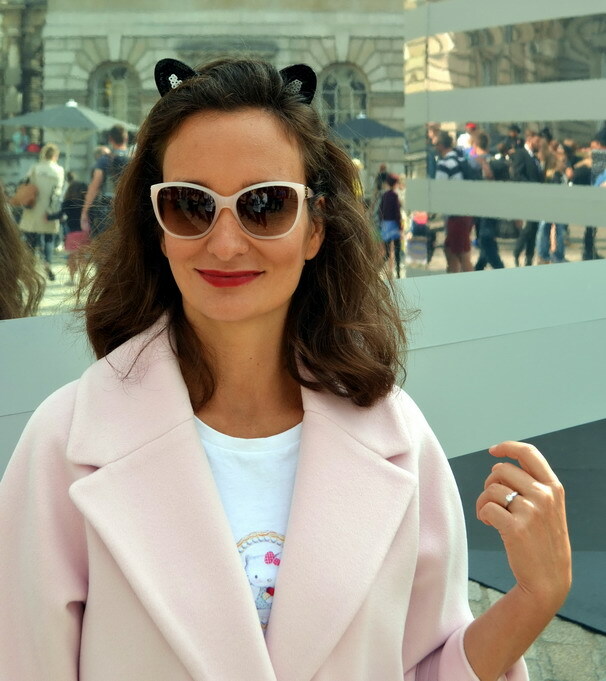 I loved getting amongst the inspirational, stylish like-minded bloggers and designers at LFW September 2014. 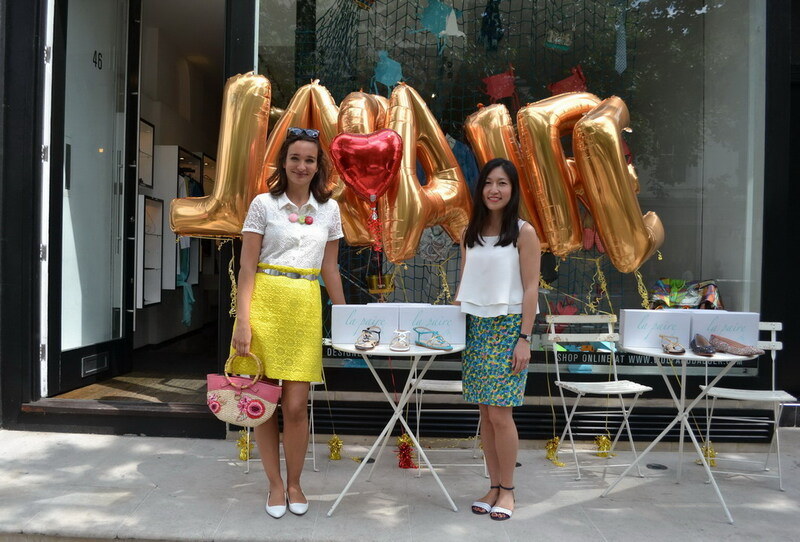 Romantique’s round-up of the hottest and most romantic street styles of London Fashion Week! 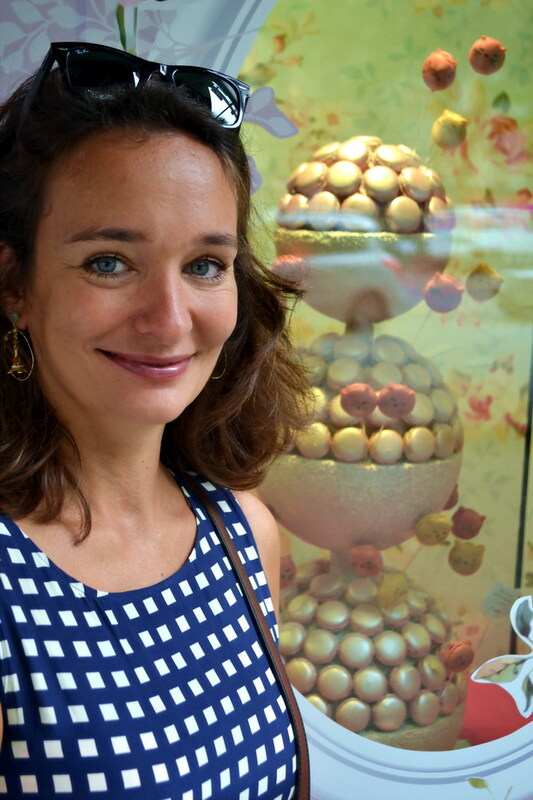 Gorgeous designer and blogger, Love, from The Girl Named Love is rocking jewellery from Les Nereides. 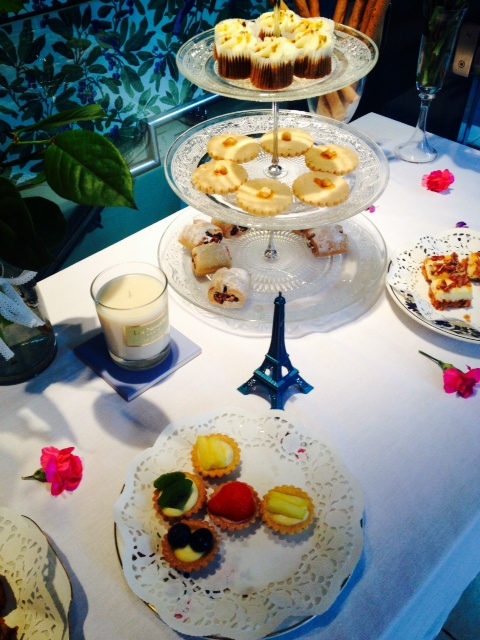 The small Alice in Wonderland from the “Tea time in Paris” collection is to die for. Apart from her name, I also love Love’s laid back, chic style. Checkered sneakers, checked poncho and that rebel red lipstick! (Fire and Ice by Revlon). What’s not to love about this look? The Vichy gingham checked blouse – casually knotted, the A-Line leather skirt, the flat ballerina pumps and the natural make-up. It’s like an excursion to the Cote d’Azur in the 50s. This sugary pastel blue, quilted waffle coat makes me long for chillier autumn days so I can wear coats again. The flat, gold-chained slippers mirro the gold buttons of the coat beautifully. The embroidered mini bag is the icing on the cake. In this outfit, lilac and turqoise go together like toast and Nutella! This is a romantic princess look with the little sparkly crown, embellished collar and soft dress. 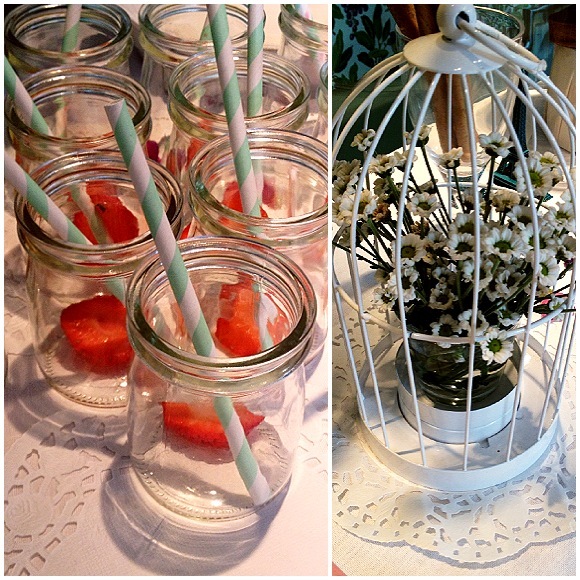 The clashes of the colours give it just the right amount of edge to balance the sweetness. Ah Sicilia I miss you! This street style makes me reminisce about our holiday back in July. The cart wheels on the Dolce and Gabbana T-shirt look like a statement necklace. Knitted pencil skirt from Ekaterina Kukhareva. 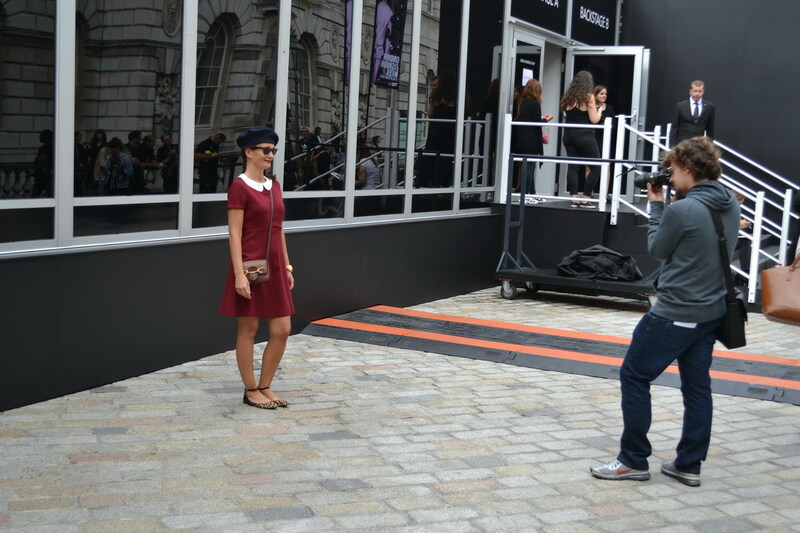 Day 2 at London Fashion Week! Today I dressed for London’s ever changeable weather in a pastel pink coat, topped off with cat ears. Rebel went for the classic look in black skinny jeans, a white shirt and brimmed hat to catch the tiny raindrops that descended upon us during the day. Beach style is all about carefree, effortless dressing. A stylishly printed silk scarf, efficiently redesigned into a sarong, not only saves room in your suitcase but also looks elegant: All you need for this look is a silk scarf. Tie the two ends together and then wear it as either a skirt or a dress. Keep this article as a handy reference, it demonstrates 6 different ways on how to tie a beach pareo. I’m wearing: My beautiful Lily and Lionel “Lavender Bloom” scarf. 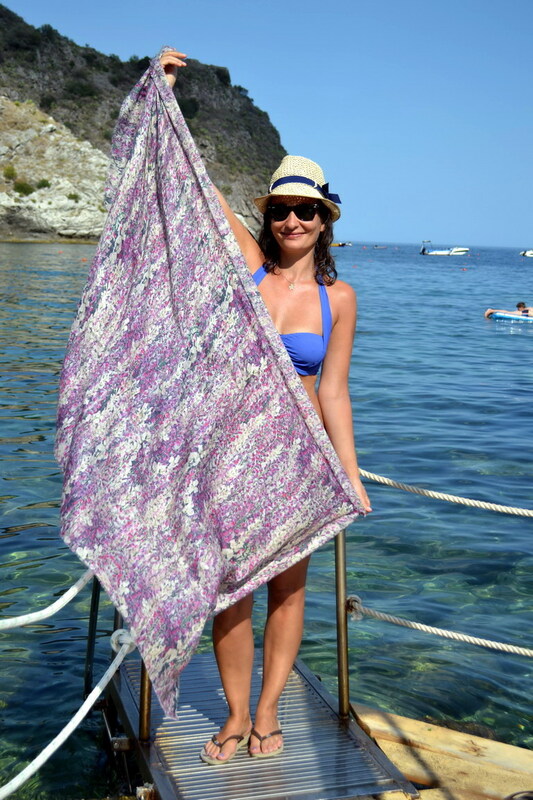 The lightweight silk is perfect for a sweltering hot day at Sicily’s Isola Bella beach near Taormina, Sicily. The makeshift dress easily switches from beach day chic to after-sun apero whilst sipping a Spritz or two. Brunch is my favourite meal of the day. Not only because I hail from Berlin where brunch is an obligatory weekend past time. I love sweet breakfast (croissant, Nutella) merged with savoury goodies such as delicious, runny eggs, cold meats and fresh juices. 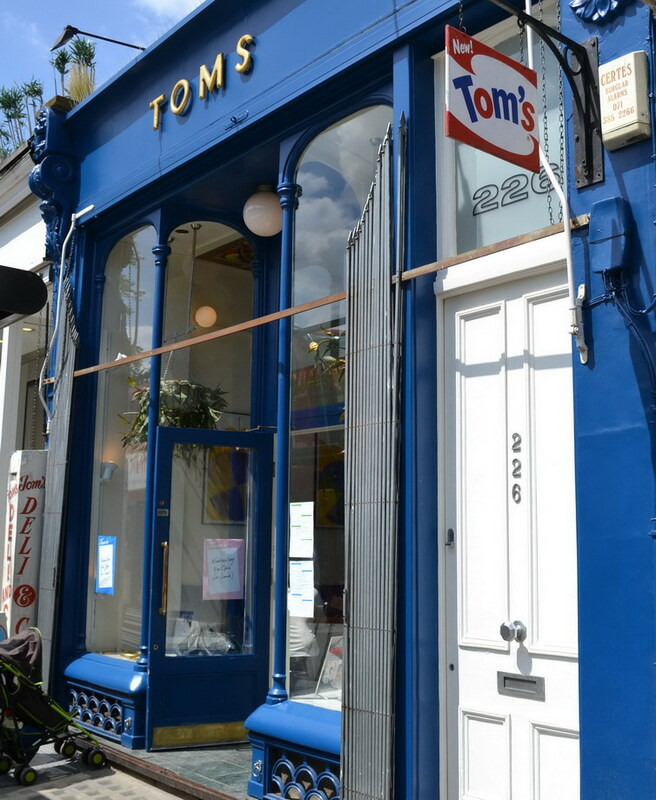 “New Toms” restaurant in Notting Hill is a beautifully decorated place with painted, baroque-esque ceilings and a outdoor patio for those (rare) balmy days in London. 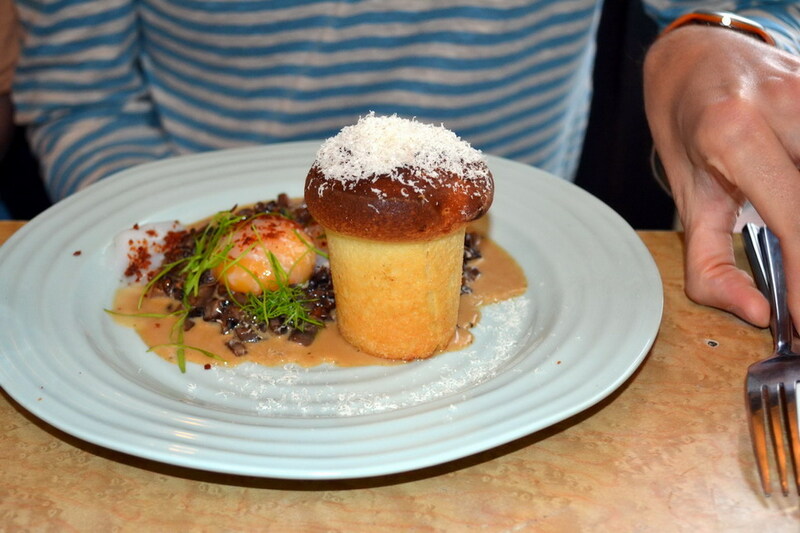 The stripped-down-to-the-best menu offered delicious brunch options such as Eggs Benedict, homemade blueberry muffins and pain au chocolat for the sweet toothed like me. 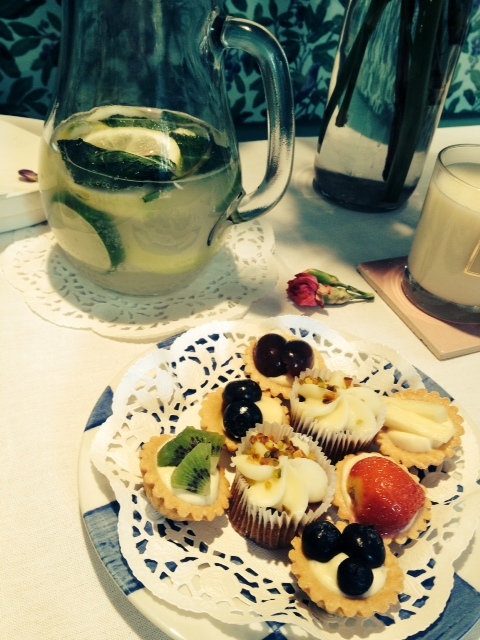 Fuelled by great food, we strolled along Westbourne Grove and it’s array of fashionable shops. “Wolf & Badger”is a fashion store that provides a platform for selected, emerging UK designers. 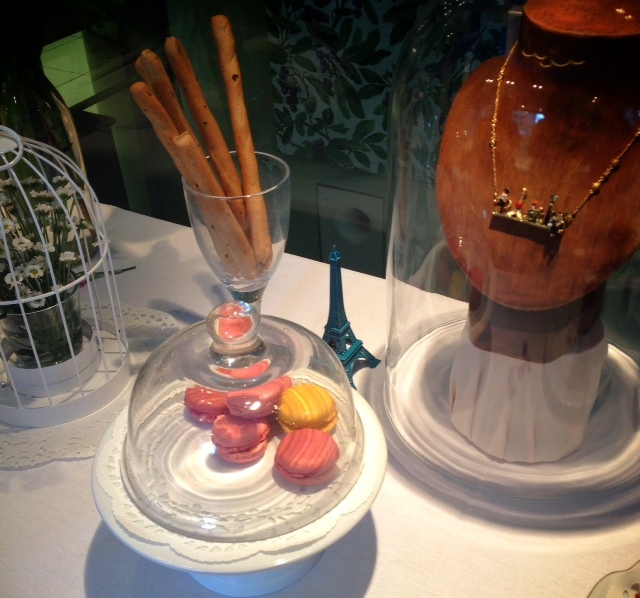 Every weekend, a new independent designer displays their clothes, shoes & jewellery in the shop. 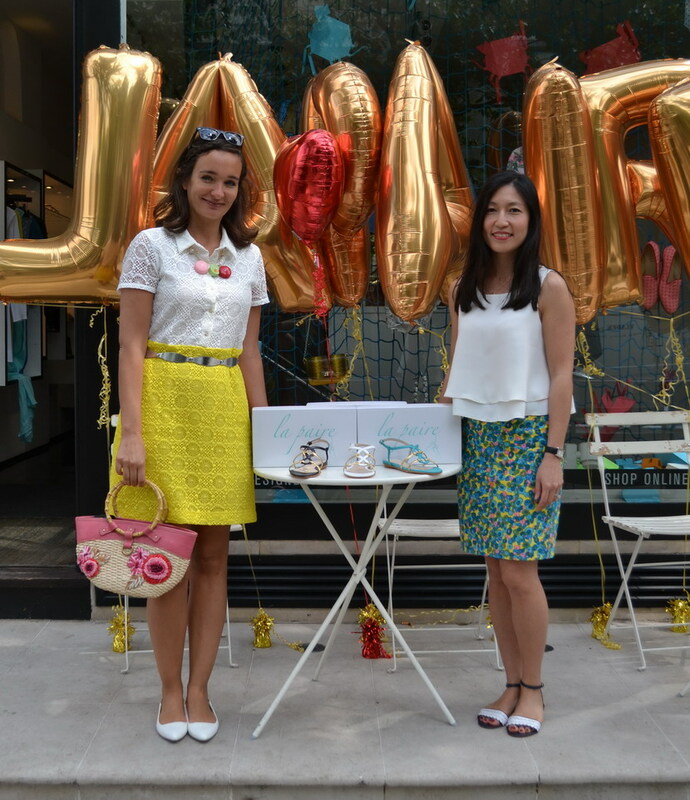 That Saturday was my my lucky day as I discovered the beautiful flats and sandals of La Paire. 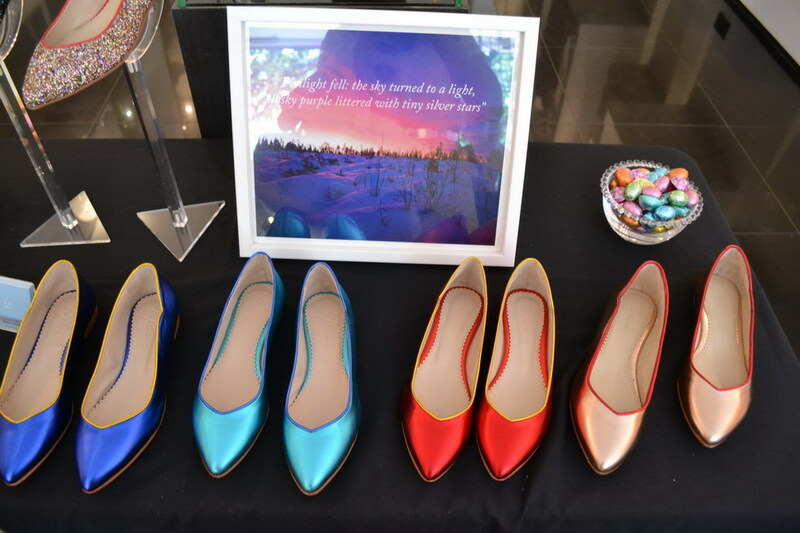 Founder and designer Amy La displayed a sneak preview of her Autumn/Winter 2014 pointy ballet pumps in the shop. 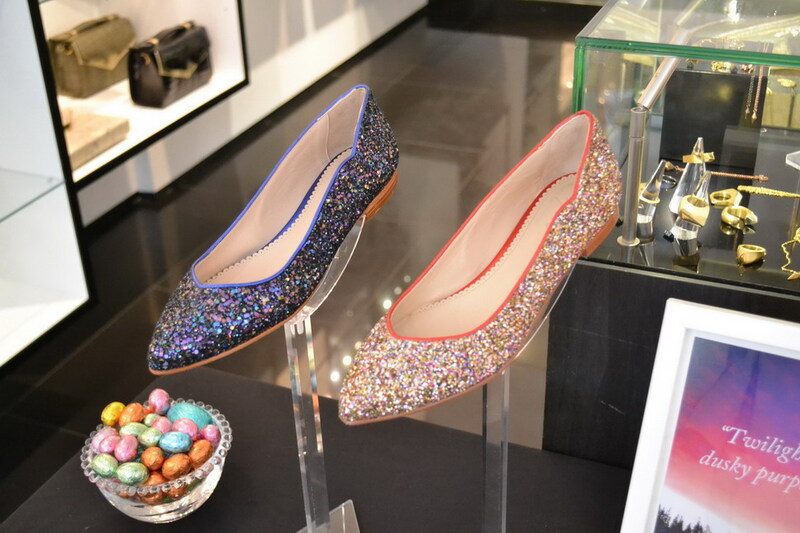 Needless to say, I’m in love with the confetti-glitter flats and the metallic Easter-egg colours of the shoes. Handmade in Spain, they are not only stylish but also fairly priced. Wolf & Badger was named one of Britain’s best boutiques by British Vogue, make sure you pop by when you visit London. 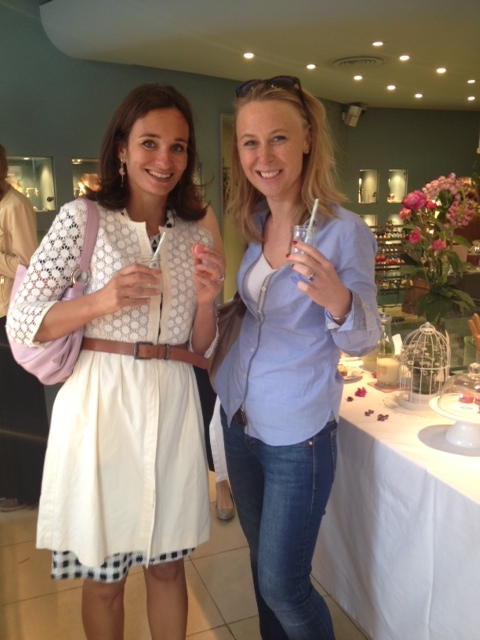 Thanks Wolf & Badger and La Paire, Romantique’s new favourite shop for ballet flats & sandals! GORGEOUS! Impossible to chose, I must have them all! 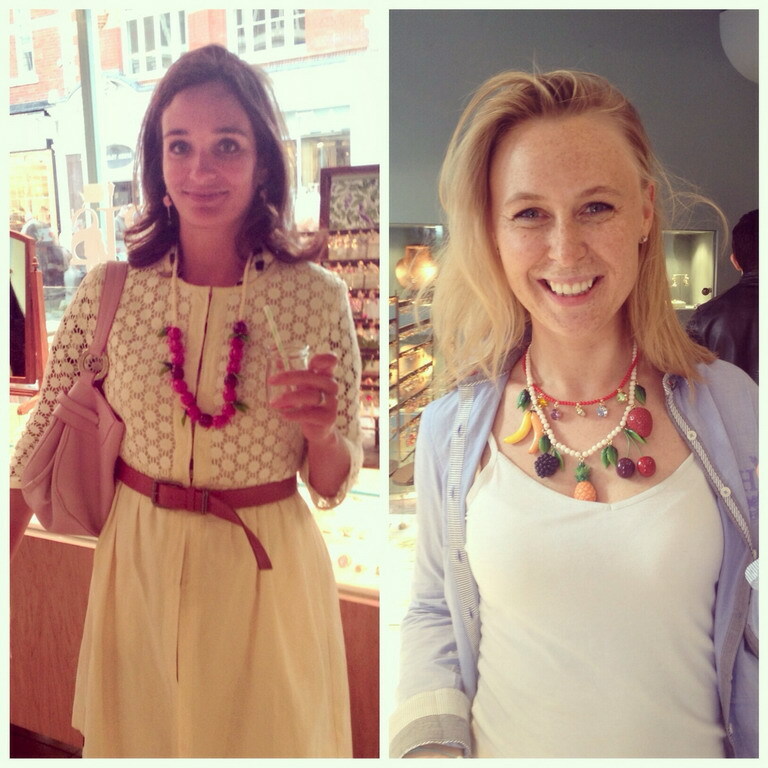 Amy La, founder of La Paire, and myself at Wolf & Badger in Notting Hill. Inspired by Rebel’s recent stylish post on Panama / Fedora hats and her insistence that this is a must-have item to jazz up my wardrobe, I finally gave in. 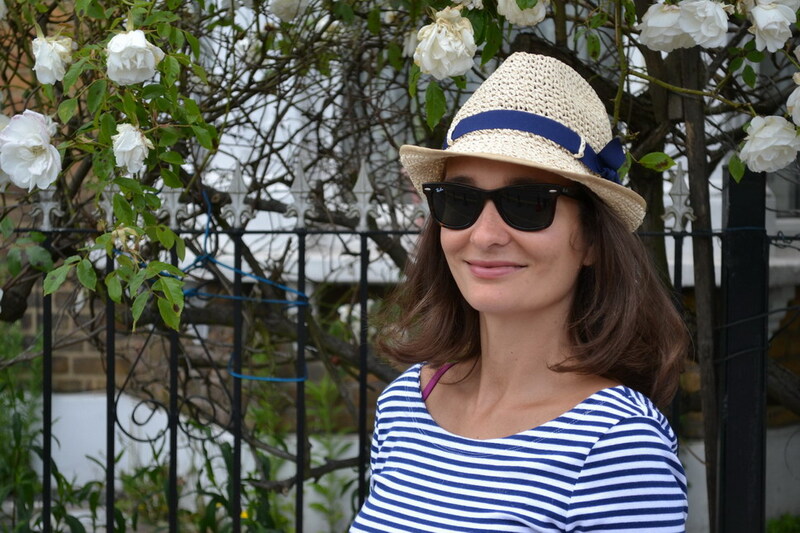 After a quick dash to our local TK Maxx in Wimbledon, I’m now in possession of my latest HG accessory, a soft straw panama hat, adorned with an obligatory grosgrain bow. 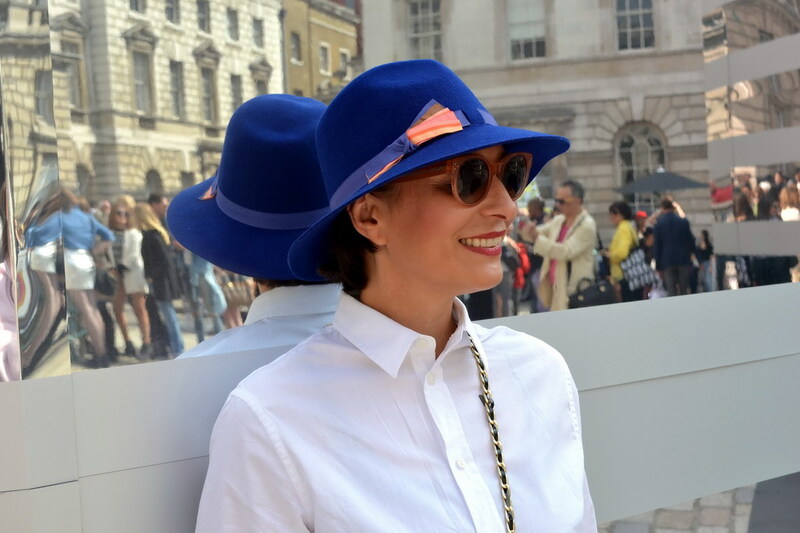 How to style the Panama hat? 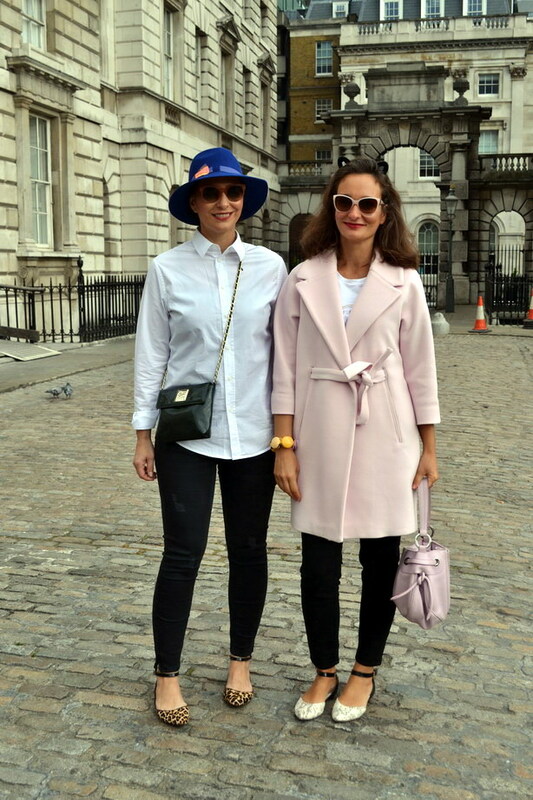 After Rebel’s uber-cool outfit, pairing the hat with a navy, cropped Strenesse blazer, Zara cigarette trousers and quilted Chanel-esque ballet pumps, I had big shoes to fill! 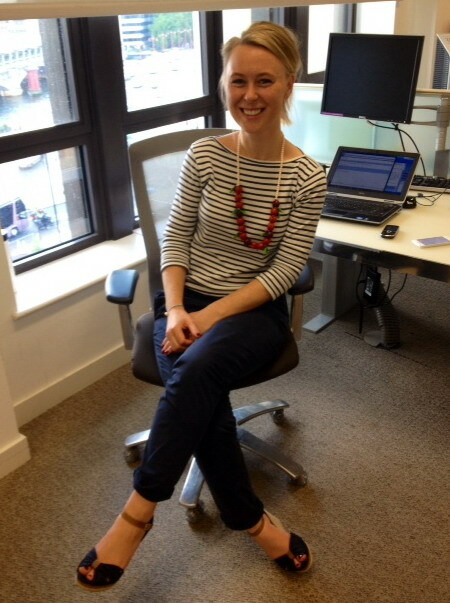 For a casual day out in Wimbledon, I chose my trusted Breton shirt, a peachy boucle skirt with navy grosgrain piping and navy espadrilles. 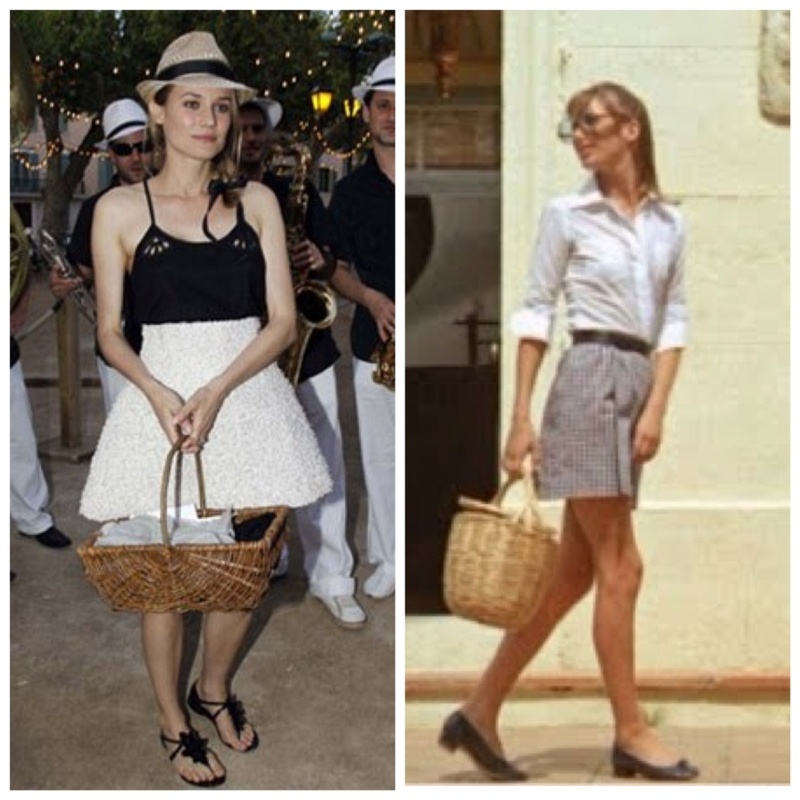 I drew inspiration not only from Rebel but also from gorgeous Diane Kruger, pairing her hat with summer dresses and converse.